Hello and welcome to Save On Transfers, a website about international money transfers and personal finance. 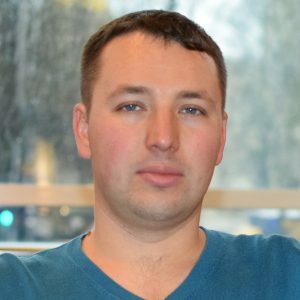 My name is Ruslan, and I’m a senior software engineer. I’m also a frontier worker who crosses the border between countries every working day. So, how did I come up with the idea of creating this site? When I started working abroad, my pain was high fees on my international money transfers. Additionally, I had to wait days for my money to get back to me. If you get paid in different currency than you can spend at home, then you will definitely know what I mean. Fortunately for me, this pain didn’t last long. Tired of wasting time and money, I quickly found a way to send money internationally in a cheap, safe, and fast way. In short, my solution for this problem was TransferWise and Revolut. Each has their own strengths, so I use both of them for different situations. However, these are not only amazing providers in the biz. On this website, I’m going to reveal some hidden gems, review well know money transfer providers, compare them, show their strengths, and give you a breakdown of their weaknesses. Stay tuned for amazing finance tips! Everything I share on this website is based on my personal research, experience, and opinion. You should always make your own decisions based on your own research and never follow proposed strategies blindly. You are solely responsible for your financial decisions, and if you follow any of my recommendations, you are doing so at your own risk. I’m not liable for any losses you may have using any of the providers that I review or following any financial strategy I shared on this website. I don’t provide any financial services or advice, I just blog about the niche I personally interested about.